The River Dart, its valley and estuary go together to form one of Devon’s scenic highlights. An ideal way of exploring this outstanding landscape is to use the Dart Valley Trail. This footpath route follows both banks of the estuary and also goes upriver on the western side to link the estuary with Totnes. Dartmouth is well served by buses from Totnes, Kingsbridge and Plymouth. Routes from Torbay serve Kingswear. More unusual transport access is provided by the Paignton and Kingswear Steam Railway and by River Link boat services to and from Totnes. Remember that during the summer especially car parking can be very difficult in Dartmouth and it is recommended that visitors use the park and ride service provided. 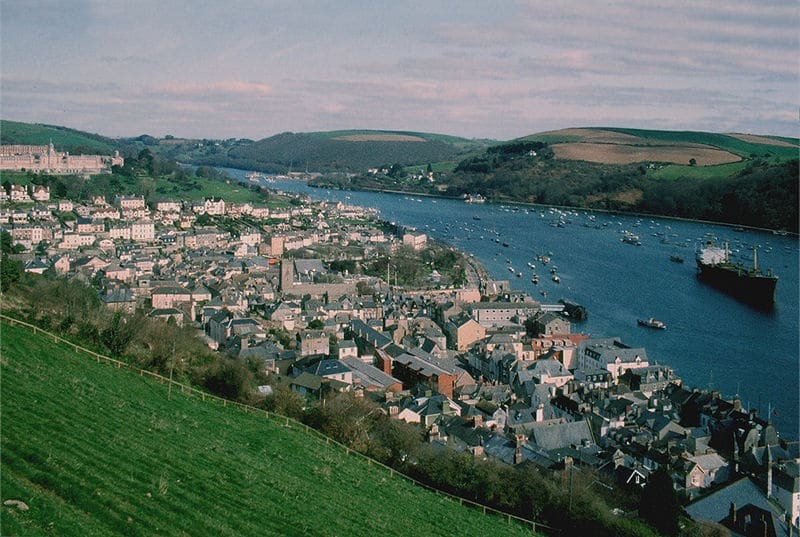 Dartmouth : all facilities; Dittisham : pubs, shop; Maypool : Youth Hostel; Britannia Halt : toilets; Kingswear : all facilities. 1 climb of 50m/160 feet on a lane. 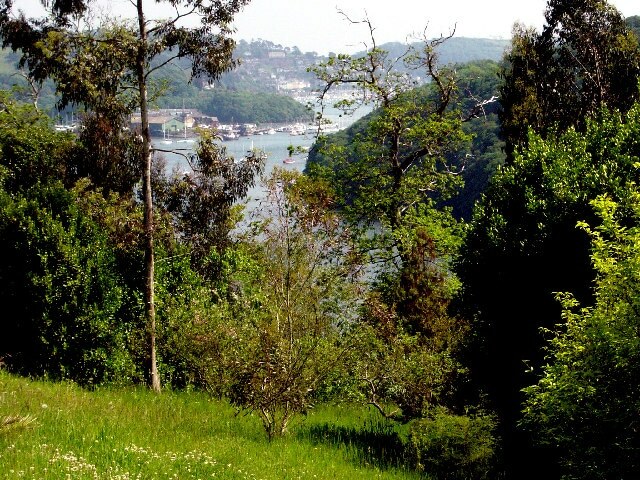 This walk follows the stretch of the Trail on the eastern side of the estuary, between Greenway and Kingswear. Like the rest of the Trail, it can be combined with one or more of the various forms of public transport on and around the lower Dart; steam train, bus or boat. This walk goes together with three ferry rides to make an interesting and scenic round trip. Start at Dartmouth by taking the ferry to Dittisham, this service is operated by small red and yellow boats which depart from the stone steps from the Embankment just above the main boat pontoon. On arrival at Dittisham the ferry to Greenway is then used to cross the river. The boatman on the Dittisham ferry will radio ahead to the Greenway ferry to let him know passengers are on their way. The whole route follows one leg of the Dart Valley Trail, which is well signed, so look out for the blue and white signposts and waymark arrows. Greenway House will have been seen from the Dartmouth – Dittisham ferry, an imposing white Georgian building overlooking the river. The earlier house on the site was the birthplace and home of Humphrey Gilbert, stepbrother of Sir Walter Raleigh and the founder of the British colony of Newfoundland. 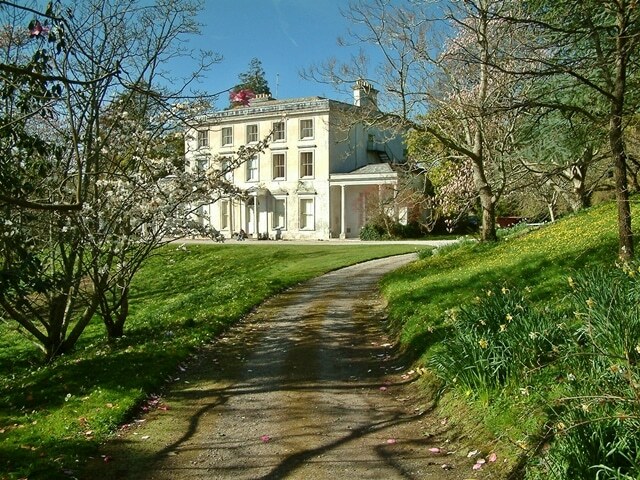 The present house is best known as being the holiday home of Agatha Christie, and a number of her books are set in locations clearly based on the Dart and its creeks. The house is not open to the public but the gardens, owned by the National Trust, are open on certain days of the week. There are superb views from the high spot both up and down the Dart, the meanders in the river showing up well from here. The Youth Hostel is Victorian, built for the owner of Philips Boatyard in the late 1800’s. Oakham Hill, whose name reflects the covering of oakwoods on these flanks of the Dart. These are in fact semi-natural woodlands, the management of the woods once being for the building of wooden warships at Dartmouth. Now, management reflects the need to conserve the diversity of plants, birds and insects. The river may be glimpsed through the trees. The line of the Paignton and Kingswear Steam Railway will also be seen. It was originally the GWR’s main line to Dartmouth, although it never actually reached the town, its terminus being at Kingswear on the opposite bank of the river. This did not deter the GWR from building a station for no trains at Dartmouth, the unmistakable architecture now housing a cafe. The yard was established in the late 1800’s and has built a wide variety of craft, including some of the local ferries. It also operates a marina. Britannia Halt, the station for the Britannia Royal Naval College, the building on the hill above Dartmouth. Built in 1905 to replace the previous college, which was on a ship moored in the Dart, the college trains naval officers, including a number of members of the royal family who have attended. The link across the river is supplied by the Higher Ferry. Technically, however, this is a “floating bridge”, the boat being guided and constrained by two chains. It accounts for the name of the road, Bridge Road. Near the bottom the railway terminus of Kingswear Station is passed. This has starred in a number of roles, including in the film of “The French Lieutenant’s Woman” and, perhaps appropriately, in the television series featuring Agatha Christie’s Hercule Poirot.